All new, Ultralight Polycarbonate (PC) Pivotal Expert/Pro seat from Elevn. Elevn Pivotal seats are much lighter in weight than traditional seats and posts offering a larger range of seat angles & adjustments and simple installation compared to the railed seats! Matched up with our Elevn seats, this is the lightest, easiest to install and adjust seat/post combo on the market! 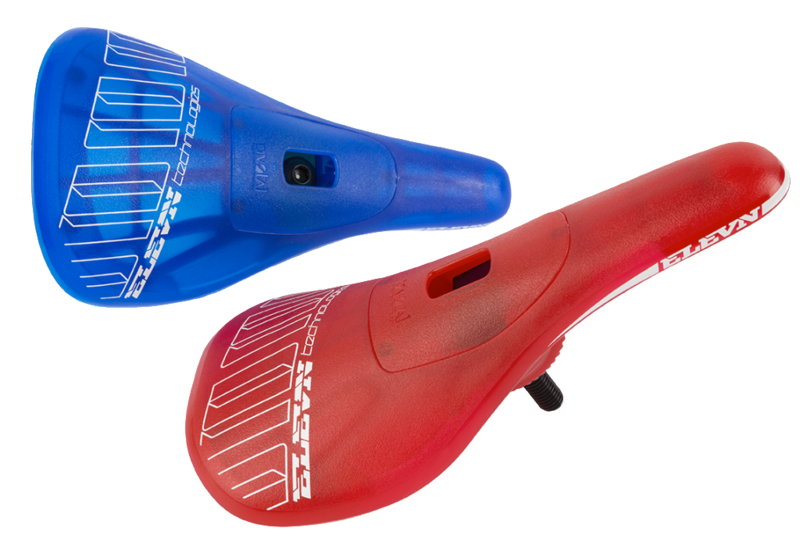 Now offered in 3 new additional color graphic and seat bumper color combinations on a black seat, to help give your race bike a custom look.